A digital microphone won the Last Gadget Standing (LGS) live competition run by Living in Digital Times during CES 2019 in Las Vegas. The winner this year is Shure’s new MV88+ Video Kit, a digital stereo condenser microphone that provides content creators with an all-in-one solution for capturing professional-quality on-the-go recordings. The kit also includes a Manfrotto PIXI tripod, phone clamp, and mount as well as iOS and USB cables for next-level compatibility and connectivity. 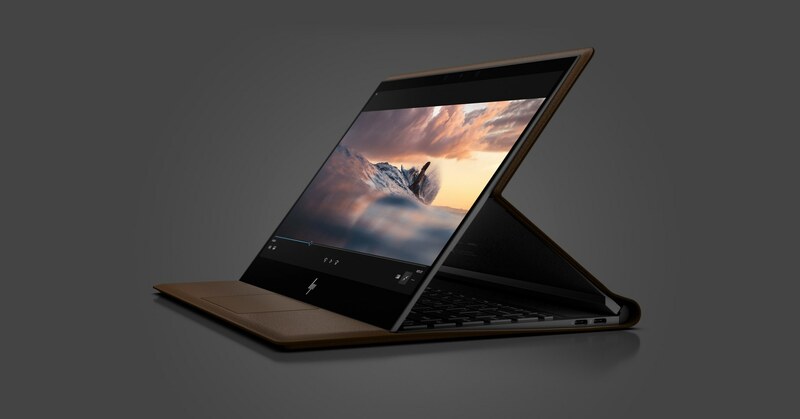 The HP Spectre Folio, a new concept for the laptop computer featuring leather construction and innovative foldable design, won this year’s People’s Choice Award. Competitors presented a range of new products that tackle problems we deal with every day, from hearing better, to solving the seemingly never-ending password conundrum with a simple key solution, to a dash-cam video system that immediately sends your mobile phone video of car break-ins and accidents. Following LGS, five exceptional students under the age of 20 from the US and Canada were named the 2019 Young Innovators to Watch (YITW) for their innovative and outstanding inventions. Thanks to the generosity of Lenovo, the Young Innovators to Watch award offers scholarships to students who are moving the technology needle with game-changing products and new ideas. Backen: Tomorrow’s learning system was built by a student today. Jerry Qu, 17 (Unionville High School, Markham, Ontario, Canada), created Backen using Tensorflow, Microsoft Azure, and various APIs, all connected in Python. The system uses machine learning to automatically tag keywords in research papers, and recommends and suggests relevant articles, the first step towards a universal knowledge bank. HICCUP: At 17, Lyron Co Ting Keh (Crescenta Valley High School, La Crescenta, CA) is already hard at work in one of the most prestigious cancer labs, the Alizadeh Lab (Stanford Medicine, Division of Oncology). He works on algorithms to help research in “Cancer of Unknown Primary” (CUP) where he designed and trained a robust and cost-effective machine learning model to carry out non-invasive CUP classifications from cell-free DNA (cfDNA). HotSpot: HotSpot is a peer-to-peer Wifi network created on the blockchain that allows you to make money from sharing your hotspot. Born out of a Wifi-challenged visit in Berlin, 17-year-olds Vishanth Thangavelautham and Talha Atta (R.H. King Academy, Toronto, Canada) didn’t want to waste $20 on an Uber and took the train, but they didn’t have Wifi and didn’t know how to navigate. They only needed Wifi for 10 minutes so why buy a different SIM card? Should they not be able to just pay to use someone else’s network for five or ten minutes? Lumen: Kumaran Akilan, 18, and Archishman Sravankumar, 17 (Cupertino High School, Cupertino, CA), have devised a promising algorithm for detecting early onset of Alzheimer’s Disease via retinal scan. They’ve been working with data sets supplied from Belfast University, creating a completely autonomous algorithm. Along with a team of mentors in the fields of ophthalmology and computer science, they hope to fulfill the promise of a low-cost, non-invasive early detection test. Quantum Vector: Tanisha Bassan, 17 (St. Robert Catholic High School, Richmond Hill, Ontario, Canada), is leveraging quantum machine learning using IBM’s Qiskit software to run a quantum support vector machine kernel algorithm. Support vector machines, she says, help computers classify different types of objects (cats & dogs) and can project complex data structures into higher dimensions for accurate classification. The YITW winners received $500 scholarships, a trip to CES, dinner with industry leaders, and global recognition.